By 2013, more than one billion emails will be read on mobile devices — an increase of almost 25% in just a little over a year! 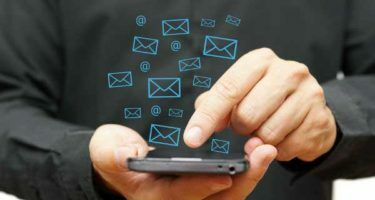 In today’s increasingly mobile world, successful email marketing campaigns must be tailored to the plethora of mobile devices available in the marketplace, including Blackberry, Palm, Android and iPhone. Shorten your message – Mobile users view email on the go and on a smaller screen, so it’s important to keep your email messages short and make sure calls to action are clear. Longer messages get squished up on the screen and are difficult to read. Readers will be more likely to read your message if you keep it short and to the point. Create custom mobile landing pages – Custom mobile-friendly landing pages combined with short attention getting email messages can improve the success of your mobile email marketing campaign. Use the email to send a short punchy message then deliver more details on a mobile-friendly landing page. Mobile-friendly landing pages should feature clear calls to action and be designed for quick download and easy reading without significant scrolling by using automatic style changes when a mobile user is detected. Use the subject line and preheader to catch attention – Mobile users view three stacked elements in a mobile inbox -the sender name, subject line and preheader text. The fastest way to catch the interest of a mobile reader is to offer an “open me now” message in the subject line and an enticing call to action in the preheader text. For example, if you were promoting a week-end golf getaway, use the subject line to make your message relevant to the offer – 20% off Week-end Golf Getaway. The preheader text features the call to action – Book now and save on Week-end Golf Getaway at (destination name). Use HTML with care – If you are using HTML to style your email messages, do so with mobile devices in mind — that means placing emphasis on your text and using images sparingly. If graphics and images are essential to your message, be sure to employ alt tags to describe them. Test, Test, Test! – Before sending your message to customers, test it in mobile emulators to verify its readability and load time. Coplan Consulting works with clients every day to optimize email campaigns for mobile devices – be it a PC, tablet or mobile phone. We develop specialized mobile email messaging combined with mobile landing pages specific to each of our clients’ campaigns to create robust email marketing strategies.